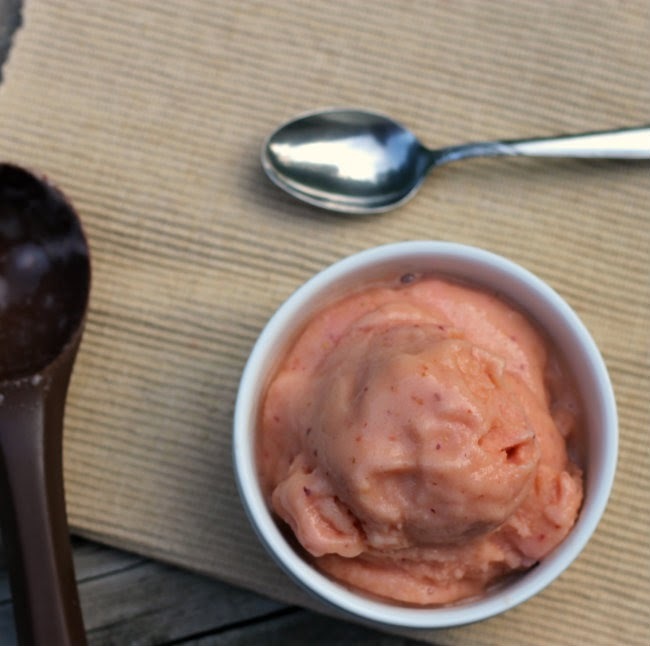 Peaches and strawberries make a wonderful combination in this cold summer treat! Today Mike and I are celebrating 33 years of marriage. Yep, 33 years ago we walked down the aisle and said I do to each other. It has been a great journey over the years. Just like everyone else there has been a few bumps and bruises through the years, but we made our way through those. I know that I wouldn’t have wanted to do it with anyone else. I hope we have many more years ahead. Since it was a special day, I wanted to have a special treat for the man that I married so many years ago. I know that he is not a big fan of chocolate, so that was out of the picture. So I went with something cold and creamy. You got it, peach strawberry frozen yogurt. 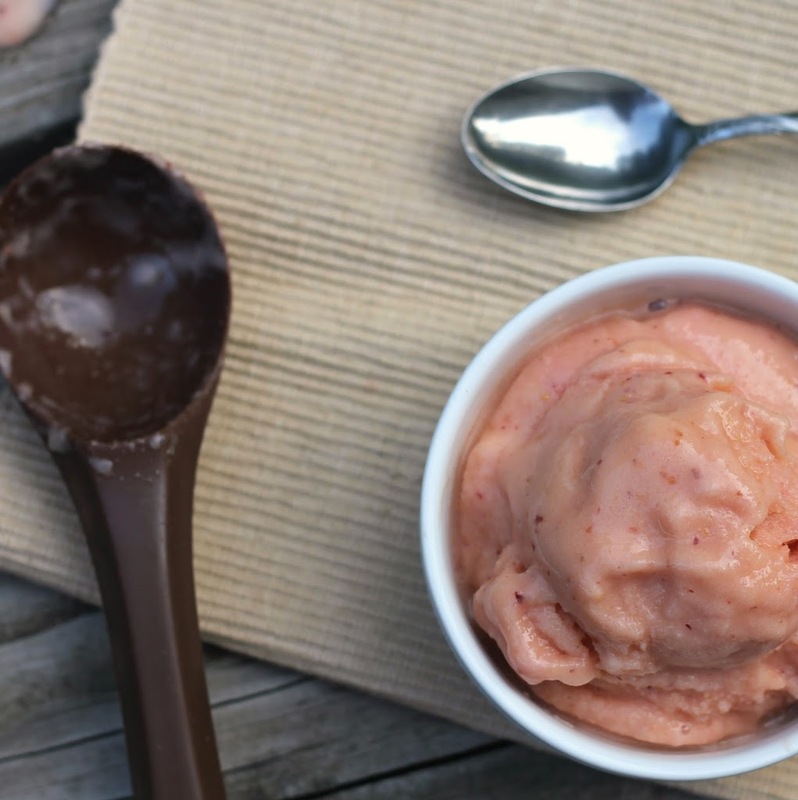 I thought long and hard about what flavors I wanted to combine and for some reason strawberries and peaches stuck in my mind. Maybe because I love these two summer fruits and right now they are quite cheap in the stores. I don’t have an ice cream maker, so this is one that I made in the blender and then set in the freezer to set up more. As you can tell by my pictures it could have stayed in the freezer for another hour or two, but it was too tempting and temptation won out. Our son, daughter, and granddaughter were with us for dinner… everyone loved this stuff. In fact I think everyone came back for seconds. Our granddaughter couldn’t get enough of it. 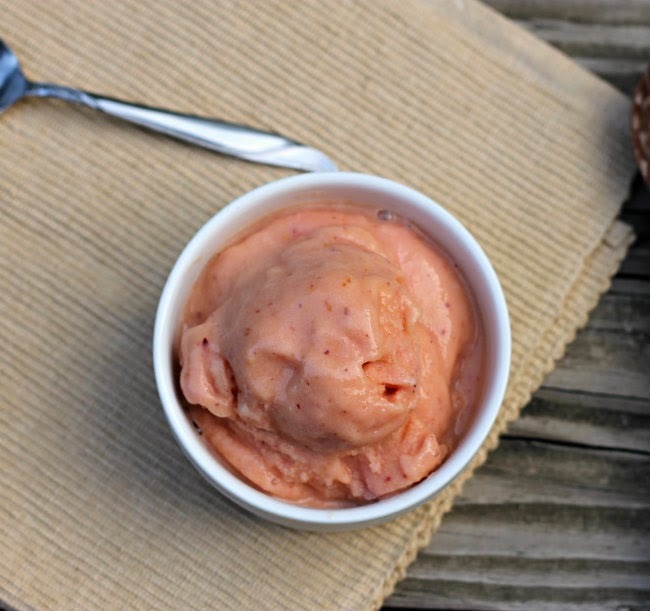 If you have never tried a peach and strawberry frozen yogurt combination, you are really missing out. 1 In a large blender half of all the ingredients and blend until smooth, using high power or crush ice. Empty this into a large container that has a lid. 2. Once the first batch is completed. Follow the first step. Once both batches are blend and added to the container stir so everything is well blended. 3. Set in the freezer to set up, probably for about 3 to 4 hours. We were not able to wait that long, it was ready for a soft serve yogurt in 1 1/2 hours. I don’t have an ice cream maker either so this is perfect for me. Aww happy anniversary!! I love celebrating with frozen treats and this sounds lovely! Happy Anniversary, Dawn! Our peach tree is just now starting to fruit-up. i can’t wait to try this recipe. Strawberries are my favorite. Great combination!